Upadrasta Ramamurty is a Professor in the School of Mechanical and Aerospace Engineering, Nanyang Technological University (NTU), Singapore. He obtained his Bachelor’s and Master’s degrees in Engineering with Metallurgy as a major and his PhD from Brown University. Subsequently, he worked as a Post-doctoral Fellow at University of California – Santa Barbara and MIT. 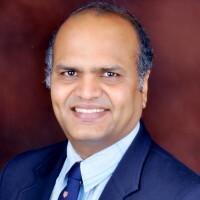 At NTU, Ramamurty teaches and does research in the broad area of mechanical behavior of materials and has co-authored 250 papers in peer reviewed international journals. His research is recognized through the Swarnajayanthi and J.C. Bose National Fellowships of the Govt. of India, and the Shanti Swarup Bhatnagar and TWAS Prizes (both in the Engineering Sciences category). He is an elected fellow of the Indian National Science Academy, the Indian National Academy of Engineering, and The World Academy of Sciences (TWAS).